Connect the dots is a game we’ve all played, and it’s also a natural fit for touchscreen devices. Inferno’s dotdot puts a dot-popping twist on the old classic, and it’s one of the coolest games we’ve come across this week. 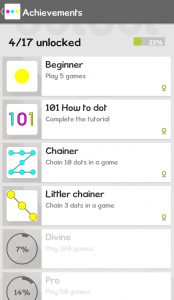 Puzzle games come in many forms and dotdot is a game all about dots. Blue dots, black, green dots… you get the picture. 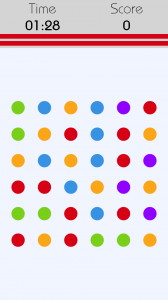 Each game gives you a screen full of colored dots, and you’ll have to “connect” dots of the same color by dragging your finger across them. You can go up, down, and diagonally to make a match, but you’ll want to make it quick as there’s a timer ticking away in the background. In addition to the dots and timer, there are also two bars – one represents the timer while the other is for your score. When you pop a line of like colored dots the bars become smaller, and when they vanish you’ll get extra time or a bonus score depending on which one you deplete. It’s a simple concept, and its very well done. 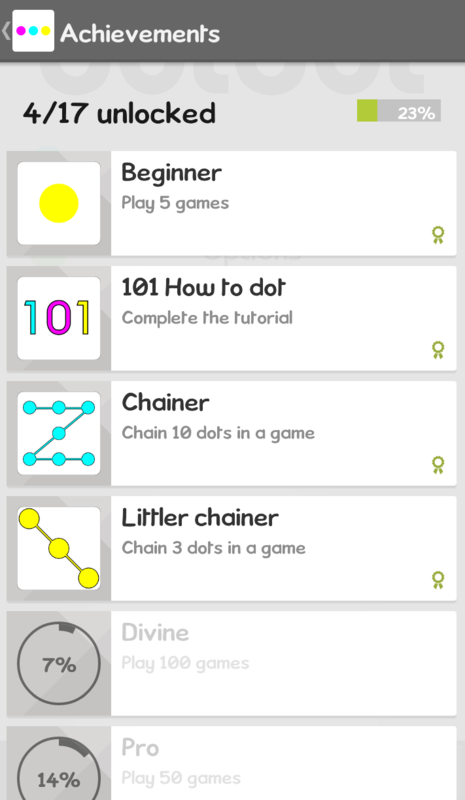 There are no levels in dotdot, but there are plenty of themes and achievements. You’ll get 17 achievements to shoot for along with several different colorful themes. You can also change the backdrop to any color you’d like, and dotdot utilizes Google Game Services so you can track your scores against the best. There are no ads, in-app purchases, or permissions which is rare for any game these days – especially a free one. There are similar games out there, but dotdot does its own thing and it does it very well. It’s extremely addictive, and the themes switch things up more than you’d think as you have to readjust your eyes for the new color schemes. It not the kind of game that gets old quickly, and the developer plans to add multiplayer in the future as well. 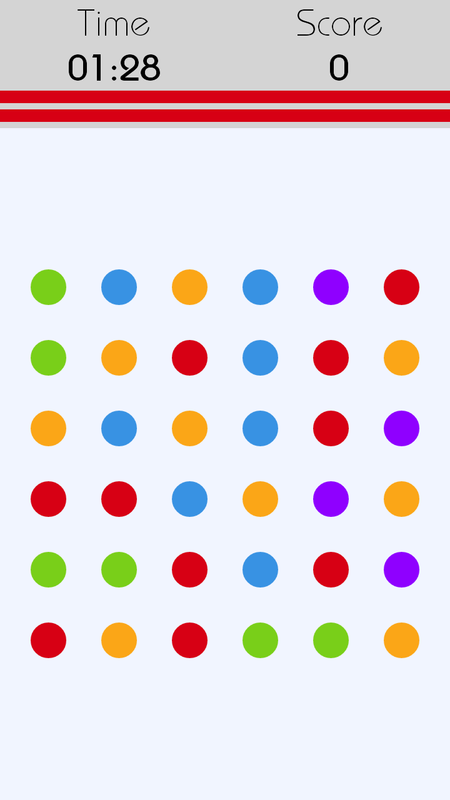 If you’re looking for a fun new puzzler, look no further than dotdot. If you’re ready to kill a few hours, you can head on over to Google Play and pick up Inferno’s dotdot.